Iceland lost to France 5-2 in the Euro quarterfinals, after getting bum rushed for four goals in the first half. But the fact that Iceland—population: the same as Santa Ana, California, a city you didn’t know existed—even advanced far enough to get knocked out by France was a tremendous accomplishment for a nation that had never before qualified for the Euros or World Cup. 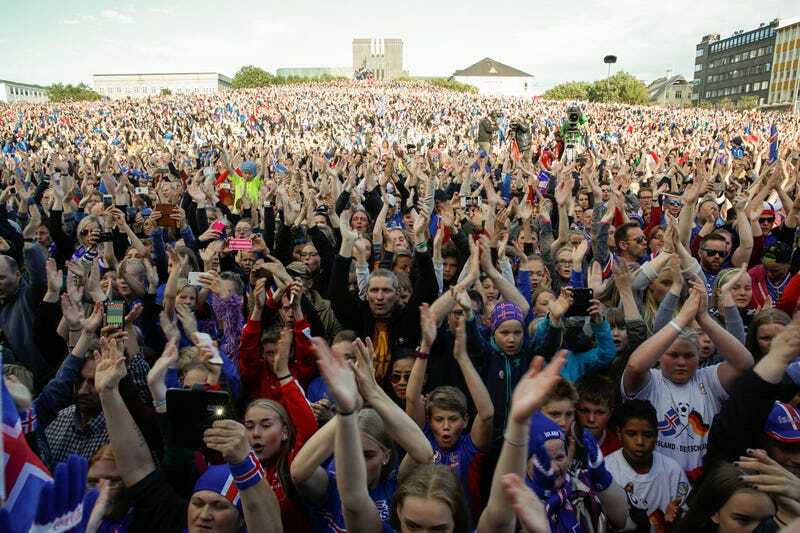 The Iceland team returned home yesterday, and were greeted as conquering heroes, with a bus top procession through the streets of Reykjavik.